别 名 ARVD11; Cadherin family member 2; CDHF2; Desmocollin 3; Desmocollin3; Desmocollin-2; Desmocollin-3; Desmocollin2; Desmosomal glycoprotein II and III; Desmosomal glycoprotein II; Desmosomal glycoprotein II/III; Desmosomal glycoprotein III; DG2; DGII/III; DKFZp686I11137; DSC 2; DSC2; DSC2_HUMAN; DSC3. Component of intercellular desmosome junctions. 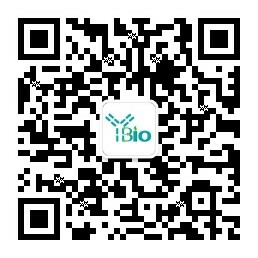 Involved in the interaction of plaque proteins and intermediate filaments mediating cell-cell adhesion. May contribute to epidermal cell positioning (stratification) by mediating differential adhesiveness between cells that express different isoforms. Interacts with DSP, PKP2 and JUP. Cell membrane; Single-pass type I membrane protein. Cell junction, desmosome. In all epithelia tested and heart. Defects in DSC2 are the cause of familial arrhythmogenic right ventricular dysplasia type 11 (ARVD11) [MIM:610476]; also known as arrhythmogenic right ventricular cardiomyopathy 11 (ARVC11). ARVD is an autosomal dominant disease characterized by partial degeneration of the myocardium of the right ventricle, electrical instability, and sudden death. It is clinically defined by electrocardiographic and angiographic criteria; pathologic findings, replacement of ventricular myocardium with fatty and fibrous elements, preferentially involve the right ventricular free wall.